Toronto, Montreal: McClelland and Stewart, 1970, 1970. HC and DJ. Presumed First. 8 1/4 x 5 1/2. ISBN:0-7710-8606-7. 154 pp. Written with affection by a staunch New Brunswicker. A delightful, informal history of New Brunswick. Emphasis on the perssecution s endured by the United Empire Loyalists in Maine. Discusses the Acadians and various personalities who lived in or visited N.B. : Lord Beaverbrook, Louis B. Mayer, Franklin D. Roosevelt, Walter Pidgei on, Benedict Arnold, Sarah Evelyn Edmondson. Lovely illustration on dust jacket by Tom McNeeley. Min wear to dj edges. Not price clipped. New mylar cover. Pictorial map of N.B. on front and rear endpa pers. Former owner's name and inscription. Endpapers and text are very clean. Binding is a nice warm brown cloth on boards. Gilt lettering on spine. Near new condition. A splendid copy of this interes ting history of N.B. Overall cond: v. good..
Jasper: Cyndi Smith, 1985. 87 pp includes index. The history of a hotel, the development of tourism with the coming of the railway.Softcover has some scuffing and a bit of edgewear to top, bottom and side of spine. Wee creases to corners. No former owner's name. Text is clean and secure.. Presumed First. Soft Cover. Fair - Good. 9 x 6. Peter Martin Associates Ltd 133 pp. Turn of the century Canada through the narrative of D. E. Macintyre. Montreal before the automobile, the expansion of the railroads into Northern Quebec, the wilderness west of the Lakehead and across the Prairies. Macintyre spent the early years of the century working for the CPR. Dj has som edge rubbing and a few wee tears to edges but looks good in new mylar cover. Not price clipped. Grass green paper on boards binding is in very nice condition, clean and bright. Endpapers are maps, Former owner's stamp on half title page. Also author has signed his name on this page. B/w photos. Text is very clean, white unmarked , no tears and no corner folds. A very nice copy.. Signed by Author. Presumed First. HC and DJ. Very Good/Good. 8 1/2 x 5 1/2. Western Producer Prairie Book, 1970. 242 pp. + index. The story of Canadian farmers struggles to overcome the devastating effects of the drought of the 1930s. ".a natural sequel to The Winter Years". Yellow dustjacket has some min edgewear to top edge, a moisture stain and pulls to back cover. Looks good in new mylar cover. Forest green binding has wee corner bumps and rubs. Former owner's name on first page. b/w photos. Text is clean, secure and unmarked. A nice copy.. Second Printing. HC and DJ. Good/Fair - Good.. 8 1/2 x 5 7/8. Toronto: Thomas Allen, Ltd, 1945 Hard Cover. Presumed First. 8 1/4 x 5 1/4. 316 pp. Written by the matriarch and spokeswoman for early Western Canadian Women, Nellie McClung's memoirs are a treasure to read. In her introduction she w rites, "Writing is not like any other kind of work. There is a fervor in it that overcomes fatigue or even pain. It is a fire in the blood, a shot in the arm. It holds us when life begins to ravel, ju st as all the earth gathers itself into the brief brightness of Indian Summer before the stillnes of winter falls". this gives an indication of where she was at in her life when she wrote this book. Brown cover has bumps to corners and top and bottom of spine, a wee dent to bottom along edge otherwise bright and clean. Front free endpaper has been removed. Text is very clean. Frontispiece has pho to of the author in 1920. Overall cond: good+..
Calgary, AB, Canada: Frontier Publishing Ltd, 1973, 1973. Soft Cover. Vol. 3, No. 4. 10 1/4 x 8 1/4. 36 pp. Stories in this issue: Tricks of the Rumrunners by J. Tapson Jones, B.C. 's First Paper Mill by Eric K. Sismey, The Klondyke Trail from Edmonton by Har old Fryer, The Cross for Sgt. Richardson by Art J. Belanger, The Retarded Murder, The Carbon Murders Mystery by Frank W. Anderson. B/w photo on orange paper cover is of Calgary's 8th Avenue, 1884. Sta pled spine is in excellent condition.. Stapled Soft Cover. V. Good. Surrey, B.C. : Heritage House Pub Co, 1993, 1993. Soft Cover. Third Printing. 8 1/2 x 5 1/2. ISBN:0-919214-74-6. 126 pp.Subtitled: Mystery and Murder from the files of Western Canada's First Lawmen. The British Columbia police force, originating in 1 858, were the first lawmen in Western Canada. They served B.C. on Land and sea until 1950 when they amalgamated with thejRoyal Canadian Mounted Police This book discusses some of their adventures thro ughout B.C., including the Charles Blessing Case. All cases have been reconstructed from archives and police files. Cecil Clark, the author, was an ex-deputy ccommissioner, who served on the force for 35 years. Many b/w photos. Our copy in outstanding condition - near new. No former owner's name.Clean, bright, tight. Overall cond: v. good. Calgary, Alberta: Calgary Power Ltd., 1977. 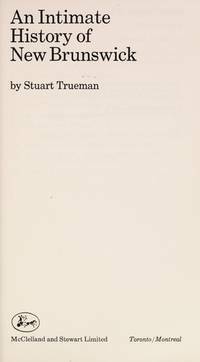 The special hardcover edition of the five softcover original editions" People, Places and Progress, Mountainmen and New Pioneers. Original b/w illustrations. DJ has a short tear to bottom edge at front, a very little bit of edgewear, looks good in new mylar cover. No former owner's name. Text is clean, secure and unmarked. 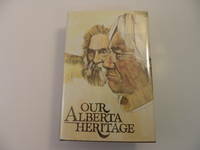 A great copy of this volume on Alberta's history.. First Printing. HC and DJ. Very Good/Very Good. Illus. by Tom Nelson and Dianne Bersea. 8 1/4 x 5 1/2. Toronto: Longman Canada Limited, 1975. 174 pp. Endpapers have map of chief indian groups before the coming of the white man. Subtitled; The Story of the Canadian Indian Contents: First Arrivals, Indians of the Northwest Coast with accompanying legend; Indians of the Plains with accompanying legend, The Algonkians with accompanying legend; The Iroquois with accompanying legend; The Indian Heritage in our Modern world. Book was copyrighted in 1951. Brown paper cover with yellow illustrations of totem poles is in very nice condition, slight rubbing to bottom corners and bottom of spine, clean and bright. School stamp on ffep, but not a library book. b/w photos and illustrtions. Read very little.. Reprint. Hard Cover. V. Good. Illus. by Sylvia Hahn. 8 x 5 1/2.